We report a rare case of post-traumatic cutaneous diphtheria in a patient referred from a hospital in rural India. The diagnosis of cutaneous diphtheria was confirmed by the isolation of Corynebacterium diphtheriae cultured from the ulcer of the leg, along with Staphylococcus aureus, Streptococcus pyogenes, and Arcanobacterium haemolyticum. The patient was kept on isolation and treated with erythromycin for 14 days without antitoxin. He was discharged when his subsequent cultures turned out to be negative. Chemoprophylaxis was also given to his family members. Such a case highlights the revisiting of vaccination strategies and the role of cutaneous carriers in transmission of this deadly disease. This work did not require any external funding. A written consent was obtained from the patient for publication. Surveillance Manual|Diphtheria|Vaccine Preventable Diseases|CDC [Internet]. 2018. https://www.cdc.gov/vaccines/pubs/surv-manual/chpt01-dip.html. Accessed 25 Oct 2018. Sangal L, Joshi S, Anandan S, Balaji V, Johnson J, Satapathy A, et al. 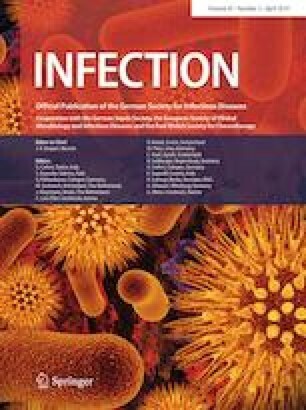 Resurgence of diphtheria in North Kerala, India, 2016: laboratory supported case-based surveillance outcomes. Front Public Health [Internet]. https://www.ncbi.nlm.nih.gov/pmc/articles/PMC5582196/. ICMR_NITM_ROY_Policy_Brief_Diptheria_Final_2017.pdf [Internet]. https://www.icmr.nic.in/sites/default/files/policy_brief/ICMR_NITM_ROY_Policy_Brief_Diptheria_Final_2017.pdf. Accessed 10 Feb 2019.